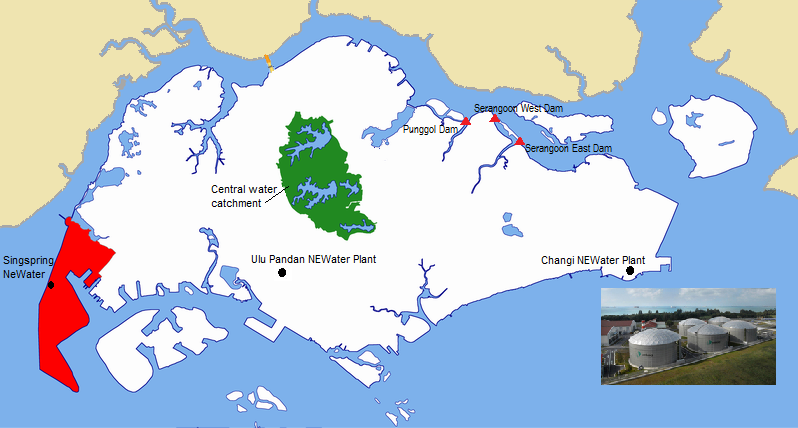 Singapore's 3rd desalination plant will be opened at Tuas. To prepare for “a future where dry spells may become more prolonged”, more desalination plants may be built to enhance water security, says the Minister for the Environment and Water Resources Dr Vivian Balakrishnan. 1. How does the opening of more desalination plants help to increase the water supply in Singapore? 2. How can water demand be managed? What are the 4 National taps of Singapore? Refer to the map and locate them. 0 Response to "Singapore's 3rd desalination plant at Tuas"